This summer has led to several big signings across Europe and one of the most active clubs in this particular hectic period has been Real Madrid. The Spanish vice-champions spent 172 million euros in 5 new signings, while they managed to cash in roughly 122 million euros from 7 sellings. If we ignore the financial element from all these transfers, can we get to say Real Madrid is now better off (football-wise) than they were before? A lot of changes were made in Real Madrid's roster for this new season and now that we've crossed this summer's transfer window deadline, it's probably a great opportunity to look at some of the numbers and analyze the most important changes made at the Bernabéu. Four years after bringing in Cristiano Ronaldo to Madrid (in a 80 million pound deal), Florentino Pérez has decided to return to his "Galácticos" transfer policy and this time he banked on Gareth Bale as the new big signing for the club, after paying a reported 91 million euros transfer fee to Tottenham Hotspur (several sources outside Spain keep claiming the true transfer price was 100 million euros though). Isco, Illarramendi, Carvajal and Casemiro are just a few other names of players that have joined the club in the past weeks and months, in a clear attempt to rejuvenate the team with promising but talented prospects. In the other hand, the likes of Mesut Ozil, Kaká and Gonzalo Higuaín left the club and will certainly be deeply missed amongst the Madridismo fan base. Since Cristiano Ronaldo's signing back in 2009, Real Madrid had never spent so much money in a transfer window as they've done this year. The Merengues splashed 172.5 million euros in an attempt to strengthen their squad, a figure still way below the 259 million euros that were used for purchasing players in 2009-10, but clearly above the 74.5 million spent in 2010-11, the 55 million in 2011-12 or the 34 million in 2012-13 (last season). One way to be looking at this is to simply note that Real Madrid has already spent more money in football transfers in one single summer with Ancelotti, than in 3 full years with José Mourinho at the helm. As for the total revenues brought in from selling players, this summer turned out to be Madrid's highest income flow ever during a transfer window. The Merengues have always had a reputation and tradition of chasing this sport's biggest names to sign them and not exactly of selling them for very high prices. The 122 million euros they've made in the past months (a sum of money that came mostly from Mesut Ozil and Gonzalo Higuaín transfers), beat any of the previous years' marks by miles. When looking at these figures, it's obviously important to start by noting that despite the negative net income resulting from the transfer deals in almost every year (exception is made last season, where the values offset each other), it's not by chance that Real Madrid became the richest club in the World in this year's ranking list that was published by Forbes a few months ago. We're talking about a club with an unparalleled potential and capability of generating revenues across the World, with a wide reaching range for advertising, marketing and TV business opportunities, which end up throwing large sums of money right into Real Madrid pockets on a regular basis. As Florentino Pérez likes insisting and remembering the press over and over, all the biggest signings Madrid has made over the past years have allegedly been able to cover/repay their own price, due to the revenues made by simply selling merchandising (mostly jerseys we would assume on a first guess). 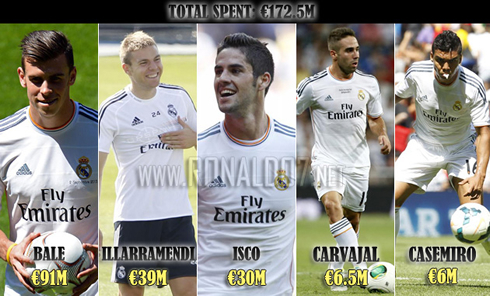 The second most expensive transfer landing in Madrid this summer was Asier Illarramendi. The Basque player comes from Real Sociedad and signed a 6-year contract with the club, on a surprising 39-million euros deal. Just like Bale, many believe Real Madrid has overpaid for this 23-year old midfielder, even though he's on a mission to slowly start filling in Xabi Alonso's shoes in the team, who has been one of the key elements in the Merengues starting eleven for the past few years. He picked a small injury in the beginning of the pre-season and that has naturally held him up from showing what he's capable of so far. If he lives up to the expectations though, Ancelotti will have three players perfectly capable of rotating on that defensive center midfielder position, those being Xabi Alonso, Casemiro and Illarramendi. 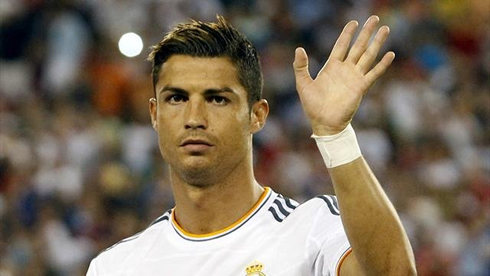 Only time will tell if Madrid's investment will pay off with this former Real Sociedad player. Next comes Isco, the Spanish wonderboy and the most recent worshiped player at the Bernabéu. The 21-year old arrives to Madrid after playing 2 seasons for Malaga CF and on a 30 million euros deal. He didn't lose any time settling in and he had a big impact on the team right from day 1. He's also one of the main reasons why many believe that Mesut Ozil may have felt his starting spot was threatned and that's something that can only be regarded as a tremendous compliment. He has the technique, flair, passing and game-reading capability that we all look for on an attacking midfielder, at the same time that he also delivers plenty of assists and goals with extreme ease. 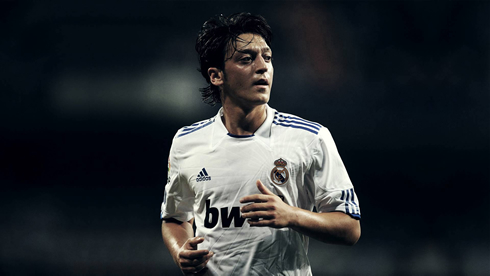 Even the most skeptical fans are now convinced that he's well worth the 30-million euros that were paid for him and with Mesut Ozil out of the picture, he was everything in his hands to become a central figure in Real Madrid in the years to come. The two other signings of this transfer window were Daniel Carvajal and Casemiro. The first is a Spanish defender that grew up playing for Madrid's youth categories, but that ended up being loaned to Bayer Leverkusen last season. He had plenty of playing time there and with Ancelotti taking over this year, the club has decided to exercise its buy-back option (for 6.5 million euros) and brought him back to its origins. Being a right-back defender, he knows he'll be competing for a starting spot with Álvaro Arbeloa and if everything goes right, he should become a first-choice sooner or later. He has the speed and dribbling capabilities that Arbeloa has always lacked and he would definitely add more depth to the right wing, something that turns out to be truly important especially when Madrid faces smaller teams who decide to park the bus in front of goal. As for Casemiro, the Merengues bought him from São Paulo for 6 million euros and he's more of a bet for the future than actually a signing from who it's expected to have a big impact right away. He was one of the most in-form players during the pre-season, as he scored several goals and showed a great understanding on the pitch with the teammates that played alongside with him. Ancelotti seems to particularly admire the Brazilian's attitude as well as his presence in front of the defense line. If nothing wrong happens, we're likely to see a lot more from him throughout the rest of the season. * Includes 4.4 million euros received from Álvaro Negredo's transfer to Manchester City. Higuaín's transfer to Napoli didn't come out as much of a surprise as Özil's move to Arsenal did. It all happened in late July and the Italian club didn't hesitate much in paying 40 million for the Argentinian forward. The 25-year old striker had a long journey in Madrid and during his 7 seasons playing for the Spanish capital club, he scored 122 goals in 264 games. He ended up being a victim of the club and fans' impatience to win the 10th UEFA Champions League ("La Décima") but he surely leaves Madrid with the feeling that he has always given everything he had on the pitch. Ancelotti will have to rely on Benzema and Morata for the centre forward position from now on, with Ronaldo and Jesé Rodriguez eventually helping out sooner or later, whenever it becomes needed. Let's hope that betting on Benzema instead of Higuaín for establishing himself as the main striker and having more playing time, doesn't make Madrid regretting their decision once again. 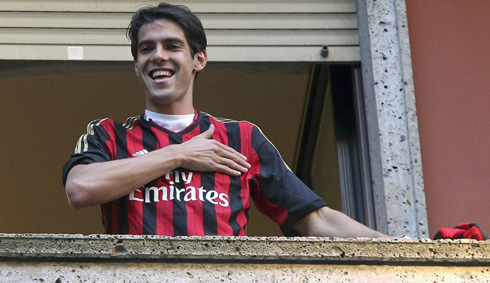 One of most awaited and predictable transfers was starred by Kaká. The Brazilian arrived to Real Madrid in the same year as Cristiano Ronaldo (2009), but for a transfer fee of 65 million euros. He now leaves the club after being granted a free transfer status, but due to his high payroll at the club, as well as the very little playing time he has had since his journey in Madrid began, it's easy to understand why everyone felt this was the right decision to take. Kaká will return to AC Milan, the club where he built his reputation as a football player and Real Madrid will lose an attacking midfielder that scored 29 goals in 120 games over the past 4 seasons. More than that, the club loses a great character and someone who left the impression that he has never really felt at home in Madrid. At the back, Madrid terminated contract with their 3rd goalkeeper Adán, saw the experienced 35-year old Ricardo Carvalho leaving to AS Monaco on a free transfer and sold Raúl Albiol to Napoli for a 12 million euros fee. Even though the club lost these 2 centre defenders, the likes of Pepe, Sergio Ramos, Varane and Nacho are expected to be more than enough to secure the team in that area. Michael Essien has also returned to Chelsea FC since he was only been on loan last season and he'll met again with José Mourinho in London. Pedro León got transferred to Getafe for 6 million euros, but he surely won't be greatly missed as he never really had an impact in the short time he has been at the club. The "canterano" Callejón will join Albiol and Higuaín this season, as he ended up signing for Napoli on a 10 million euros deal. This might play out as a particularly smart move from Madrid, since it will make room for a new talent like Jesé Rodriguez and grant him a lot more playing time in the first team. Nevertheless, he'll still have to compete with a spot in the wings with Cristiano Ronaldo, Gareth Bale and Angel Di María. 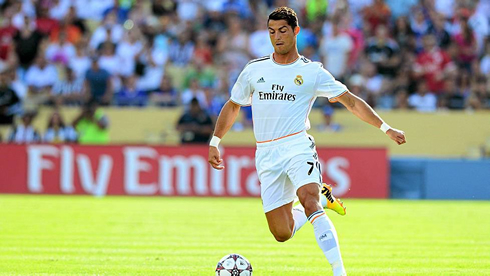 So what can we expect from this renewed Real Madrid 2013-2014? Is this Ancelotti squad stronger than the one José Mourinho had at his disposal in the previous years? The way we see it, Bale signing will bring even more speed and pace to an attacking front already led by Cristiano Ronaldo. The way these two players end up understanding and connecting on the pitch will be crucial. Attacking wise, Bale is not as much of a team player as Di María is for example, but his superb athletic capabilities will allow him to win matches on his own just like Ronaldo does, and that means Real Madrid may have 2 jokers at their disposal, for the first time since the last "Galácticos" era finished a few years ago. The other big question mark has to do with Isco's capability to perform at his best on a regular basis. If he does it, then Mesut Ozil's move to Arsenal may end up being forgotten, but if for some reason the 21-year old starts getting tired or feeling too much pressure on his shoulders in the big stages and decisive games, the Merengues might very well suffer from that and Ozil's ghost will return to taunt Florentino Pérez and his last-minute decision of letting go one of the best playmakers in the game. That being said, it's still too soon to affirm anything in regard to Madrid being stronger or weaker this season, but if Bale and Isco manage to have a strong impact in the team during the course of the season, the sky is the limit! Cristiano Ronaldo next game for Portugal will be for FIFA 2014 World Cup qualifiers against Northern Ireland, this Friday (September 6, 2013) at the Windsor Park. You can watch Juventus live stream, Northern Ireland vs Portugal, Finland vs Spain, England vs Moldova and Germany vs Austria, all matches provided from our football streaming section.